It should come as no surprise to you as a homeschooling parent that computers have an ever-increasing role in the education of our children. Desktops, laptops, tablets, and smartphones are the main access points to the vast sum of human knowledge known as the Internet. As parents, it’s important that we give our children the opportunity to learn and develop their own interests whatever they may be. Computers are a perfect counterpart to the natural curiosity of children. As they grow and develop, their instinct is to ask about the why and how of the world around them. Computers retain an air of mystery about them, which only makes children more interested in how they work. For many, getting things done is the end of it, but for the more curious students, they question how computers can do what they do. Learning how to instruct computers how to do things through programming is the next step, naturally. Learning website building, programming skills, and even how the Internet itself works can satisfy the curiosity that children have about the digital world. Giving your children a solid foundation in computer skills can lead to a rewarding and lucrative career in the technology sector. This special discipline of computer science has come very far over the last few decades. Computers are very much a visual medium, and the ability to create everything from individual components to complete layouts is in high demand among companies all over the globe. But it’s not just about making pretty buttons; the user interface and user experience elements of graphic design require an understanding of language, psychology, marketing, color theory and even predictive behavior. Graphic design gives your student the ability to express themselves artistically while learning valuable computer skills for a highly competitive and highly rewarding career path. 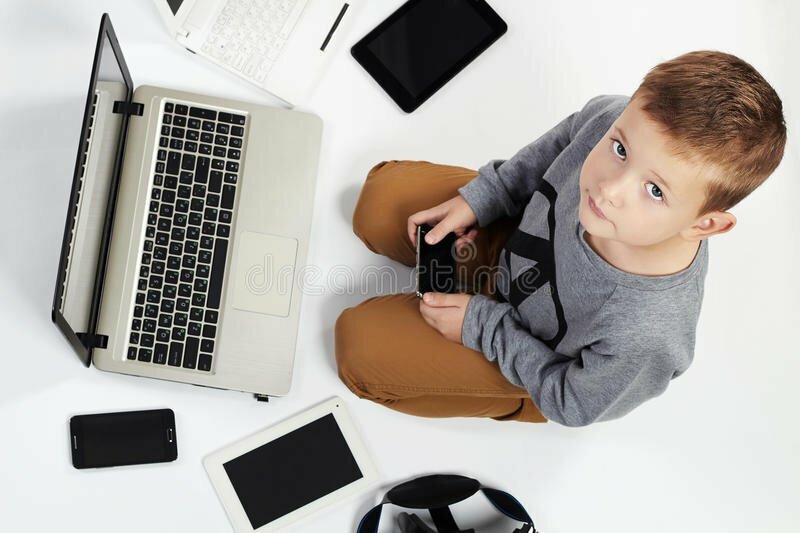 With hundreds of millions of websites available, it’s only a matter of time before your budding computer genius wants to try their hand at creating a Web site. After all, it’s visually attractive and can be easily seen by friends and family alike. Whether your child is more the visually creative type or programmatically creative, learning how to build websites can help them develop their natural creative talents. With simple to learn Web building platforms like WordPress, creating sites is fast and easy, while also being extensible to turn a site into whatever your child desires. And, with over one-third of all Web sites on the Internet using WordPress as their core platform, there is no shortage of need for good Web site developers. Learning how to program teaches much more than how to write computer programs. As a very specific, syntactically precise language structure, computer languages don’t allow for lexical ambiguity or sloppy, imprecise phrasing. Teaching this attention to detail to young programming students builds this into their general life skill set. Writing a computer program or application requires planning, research, problem solving, and the passion to stick with a task and see it to completion. The sense of accomplishment that comes with finishing a program is quickly replaced by the desire to start on the next phase of feature add-ons and improvements. And of course, it doesn’t hurt to raise your kids’ words-per-minute count on the keyboard. The underlying technology that allows us to chat with friends in the same room or across the globe is an intricate mesh work of computers, servers, routers, optic fiber, satellites – and the protocols and programming that tie it all together. For young students who are fascinated by this aspect of computer science can pursue this course of study and unlock the mysteries of the backbone of the Internet. At Open Tent Academy, your homeschool, after-school, or extracurricular students can take classes in a variety of computer science disciplines. By encouraging them to pursue their technological talents, you will give them the foundation for successful and rewarding careers.